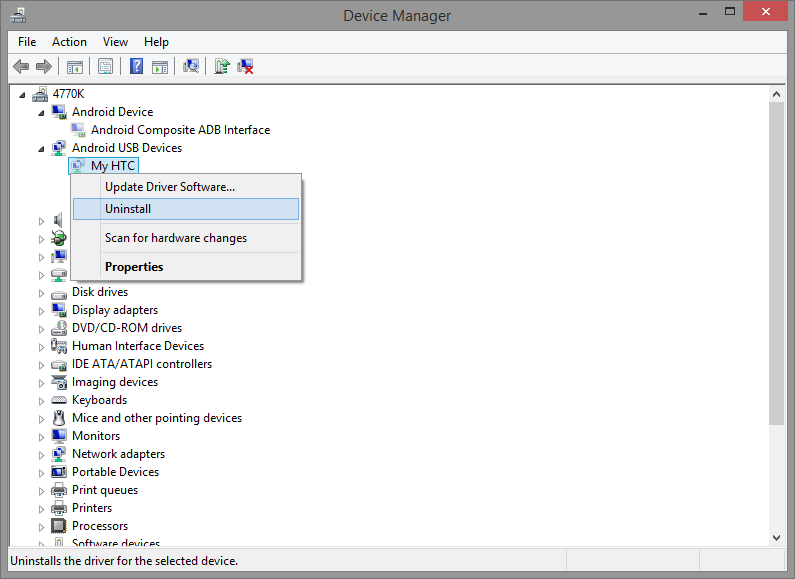 The TWRP and ClockworkMod recoveries for HTC devices hosted on this site conform closely to HTC’s USB configuration for ADB, but Windows may not always detect the device properly and configure drivers automatically. 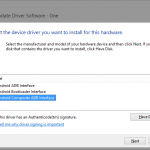 These instructions demonstrate how to install the correct driver for ADB functionality while in recovery. 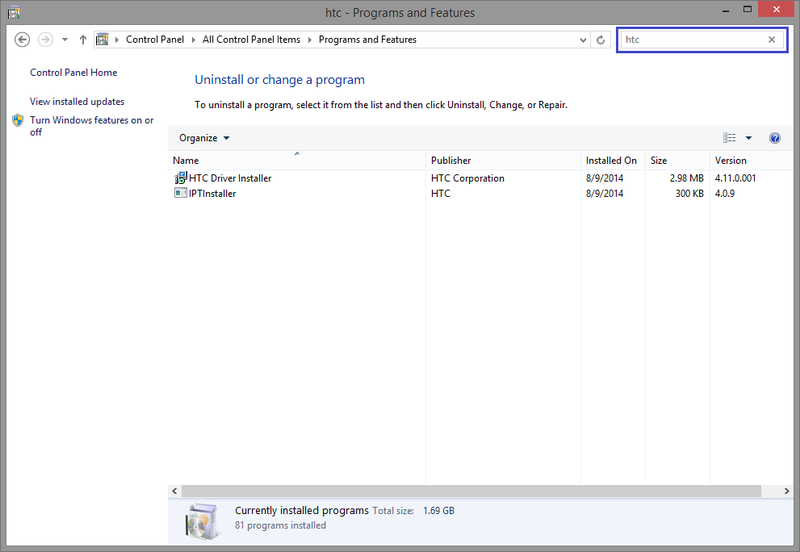 This guide is based on Windows 8.1, but it should be easy to infer slight changes in steps for Windows 7. 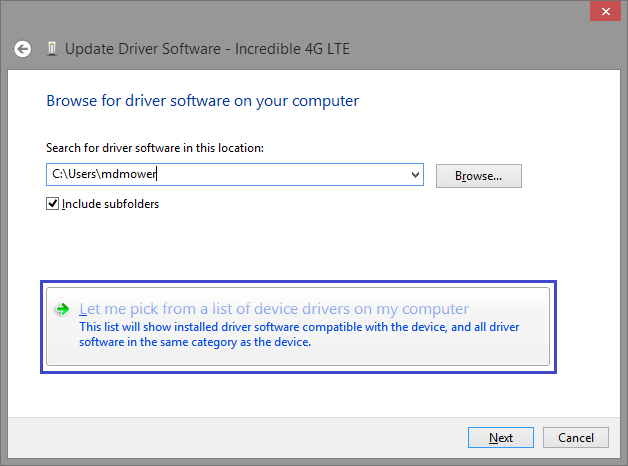 These instructions and the linked driver are not applicable to Windows XP. 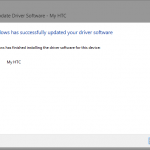 Note: if you’re having trouble with fastboot and Windows 8.1, see HTC msm8960 fastboot with Windows 8.1. 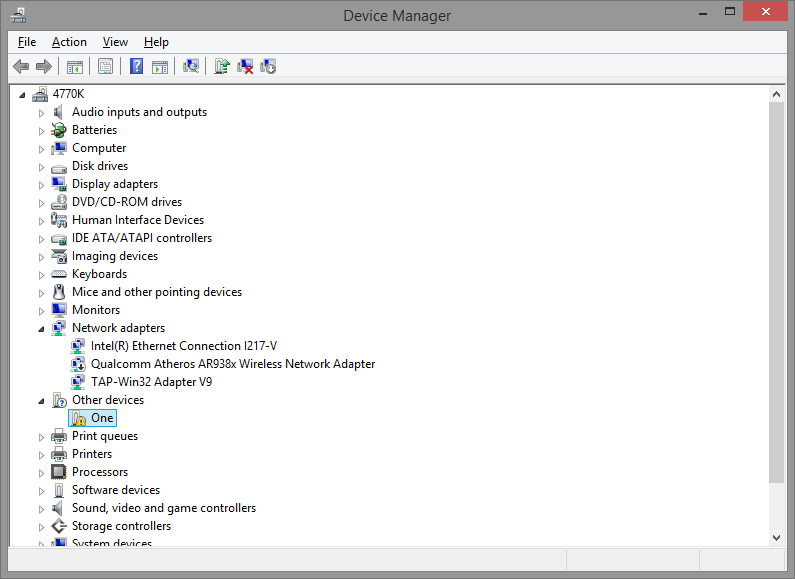 In Control Panel > Device Manager, select View > Show hidden devices. 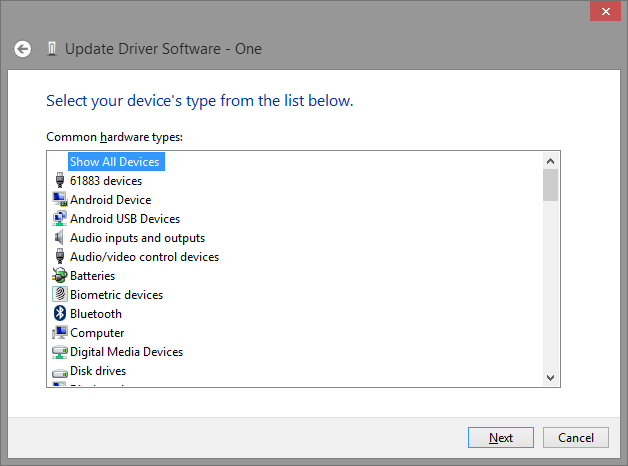 For each item under “Android Device” and “Android USB Devices”, right-click on the device and select Uninstall. 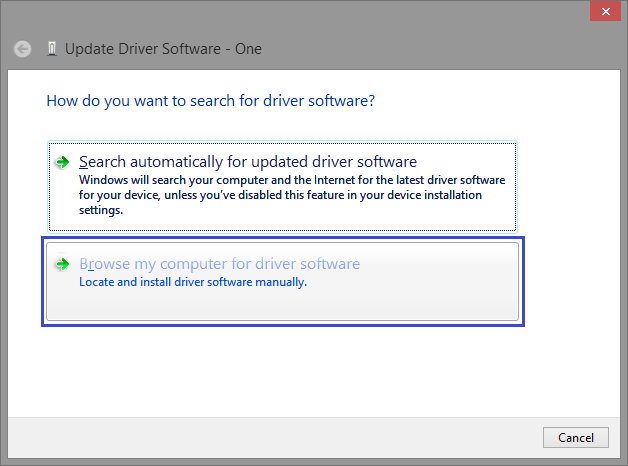 If the option exists to delete the driver as well, check the box. Restart your computer (your device should be disconnected from USB). 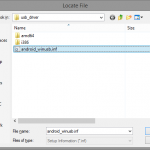 This is the suggested guide for HTC devices running TWRP from this website. 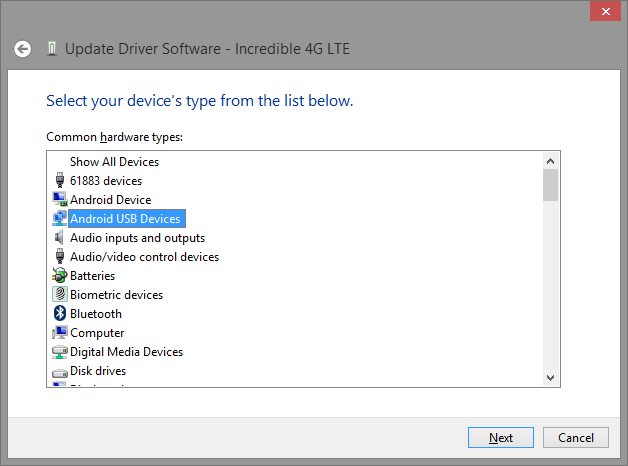 If “My HTC” does not appear as an available driver in step 10, then you can alternatively try the Google USB Driver guide. 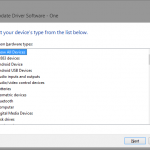 ClockworkMod recovery users should use the Google USB Driver guide. 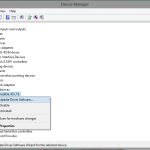 Note that if you toggle between ADB-only, MTP, and UMS (USB Mass Storage) modes, you may need to repeat steps 5-13. Once the driver is setup for each available mode, it should not need to be repeated in the future. 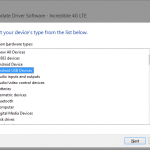 If your device is currently connected to your computer via USB, disconnect it. 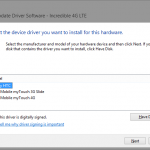 Install the most recent driver from this HTC drivers archive. 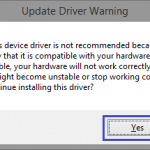 There is no “install successful” message when installing one of these drivers. 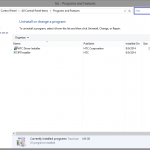 It is a mostly silent installer. 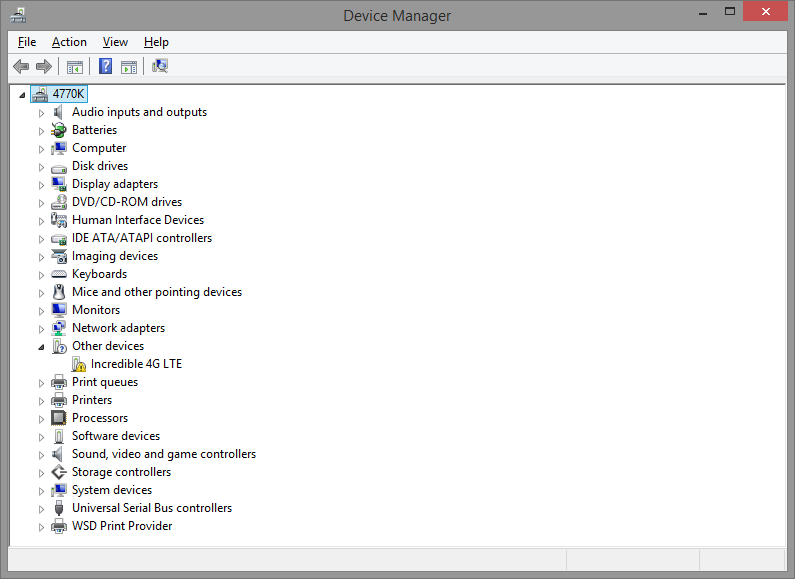 In Control Panel > Device Manager, you should see your device under “Other devices” with a yellow exclamation overlay. 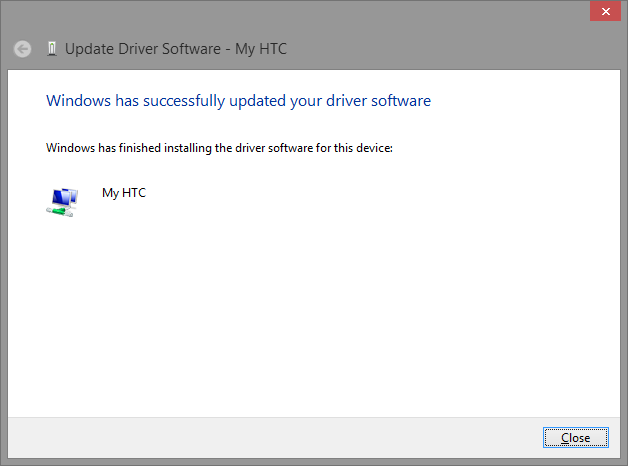 In the list of available drivers, you should see “My HTC”. Choose this driver and select Next. 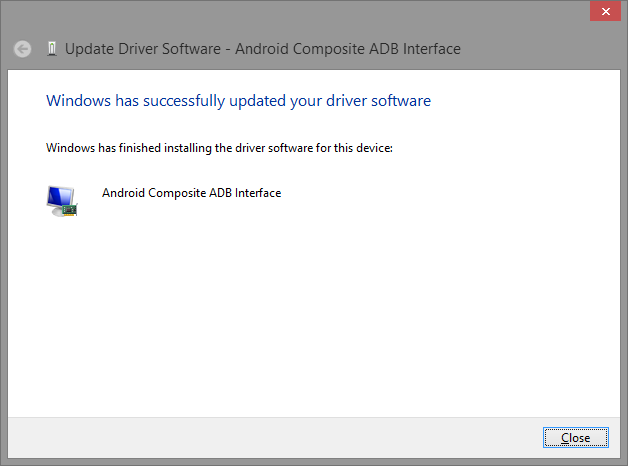 You should see a message that the driver was successfully installed. 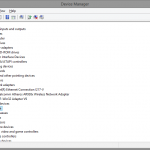 Open a command prompt and type adb devices to see your device’s serial number. 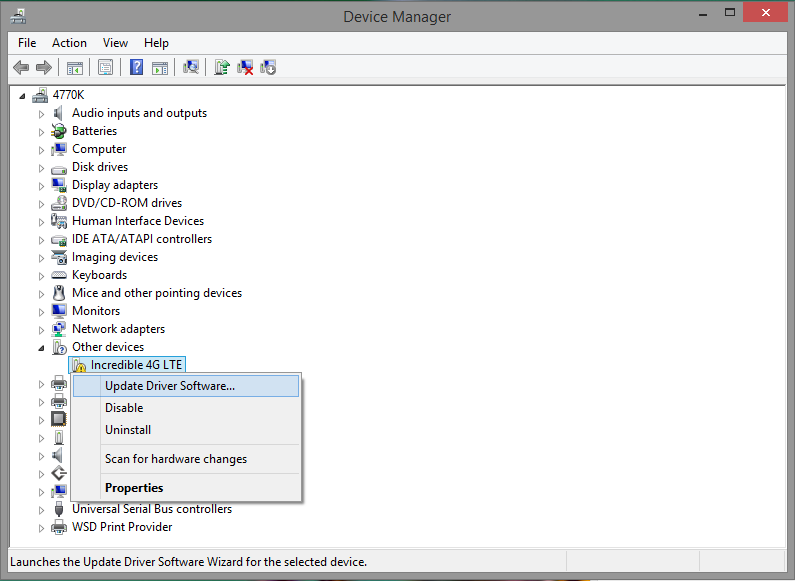 If you use the Mount USB or MTP feature in recovery, you will likely need to repeat steps 5-13. 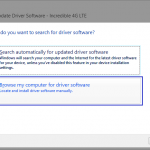 Once this is done though, you should not need to fiddle with drivers again. 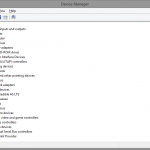 This guide applies to ClockworkMod recovery on all HTC devices. 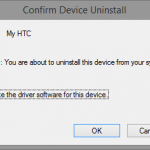 It can also be used if the HTC Driver guide above does not identify your device as suitable for the “My HTC” driver. 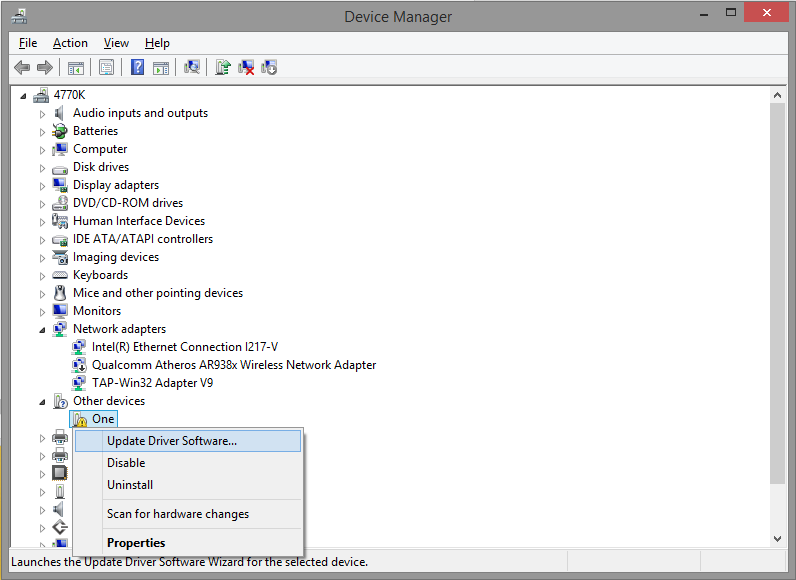 Note that if you toggle between ADB-only, MTP, and UMS (USB Mass Storage) modes, you may need to repeat steps 4-14. 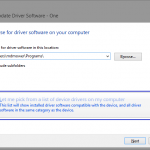 Once the driver is setup for each available mode, it should not need to be repeated in the future. 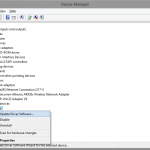 Click “Have Disk” and browse to the path where you extracted Google USB driver. 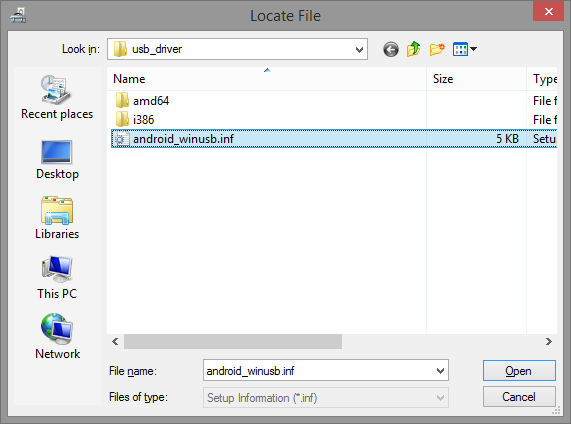 Select “android_winusb.inf” and click “Open”. 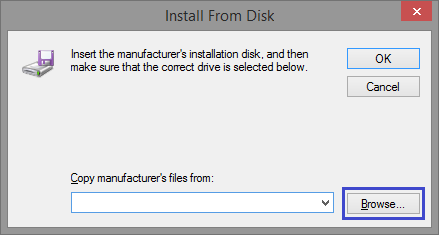 Then click “OK” on the Install From Disk dialog. 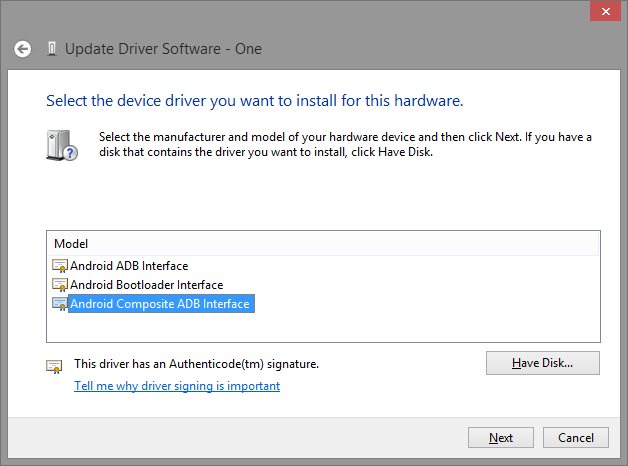 Select “Android Composite ADB Interface” as the driver you want to install and click “Next”. 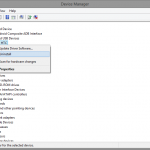 If you use the Mount USB or MTP feature in recovery, you will likely need to repeat steps 4-14. 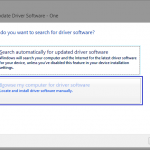 Once this is done though, you should not need to fiddle with drivers again. 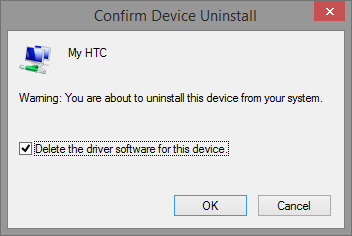 If you previously uninstalled HTC software, now would be an okay time to install the most recent driver from this HTC drivers archive (note: there is no “install successful” message when installing one of these drivers; it is a mostly silent installer). 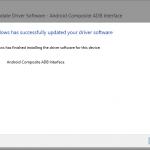 While this driver is not needed for ADB in recovery, it is used for ADB and MTP in Android. 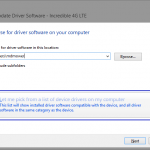 You can install this driver without your device connected to your computer and Windows will autoconfigure the device/driver when next connected. 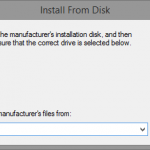 Note that there is no “install successful” message during installation. 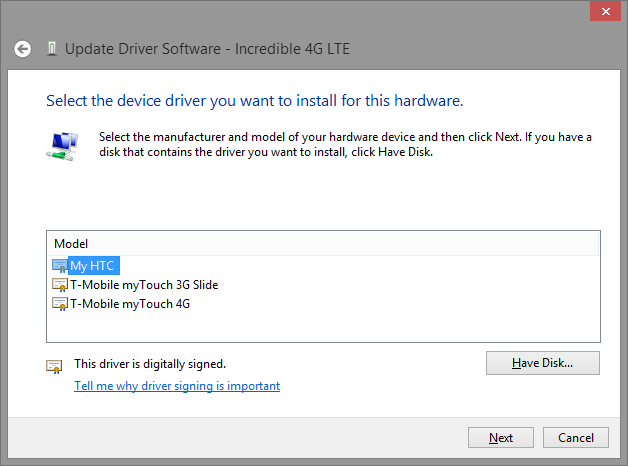 This is a mostly silent installer.